In a short span of 5 years, Roman Island has transformed itself into a fledged robust brand competing with stabilized players in the market. Let’s find out what does this brand is offering to lure franchisees. 1. How did Roman Island happen? 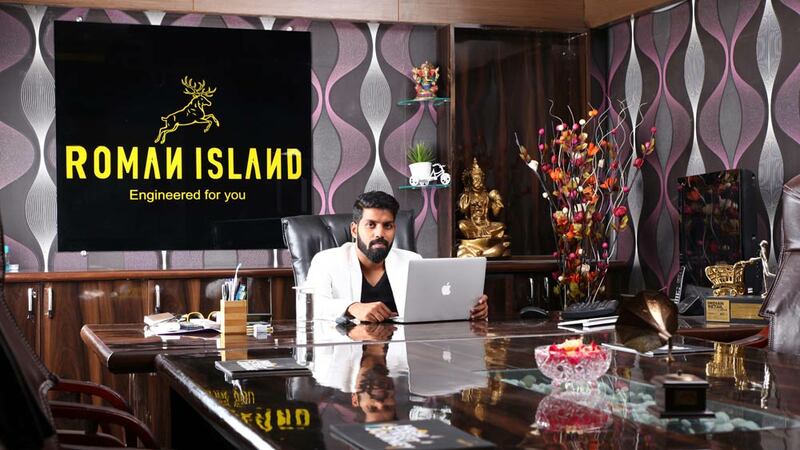 Roman island was started with a team of 10 members with a production capacity of 500 pieces a month, has now grown from scratch to an empire of 400 skilled members with a production of 50,000 pieces a month supplying to 200 multi brand outlets in India and overseas. Supplying quality garment at an affordable price was our motto which helped us in fast expansion. 2. What opportunities do you offer to franchisees? Roman island offers its franchisees with a complete range of men’s apparel. We support the franchise from very beginning selecting the right place to start business, training, soft skills to the staff, operations, marketing & advertising. 3. What are the expansion plans for 2016? Roman Island plan is to open 100 stores in Pan India and 20 in countries like UAE, South Africa and European countries. 5. What are the challenges in this sector and how do you overcome them? The biggest challenge for Roman Island was to give a quality and stylish product to the end user with an affordable price tag and with a good margin to the franchise owner. 6. Via which route Roman Island entered the industry? Roman island was started with a concept of supplying its products in 200 plus MBO’s in India and the Middle East, and has few SIS concepts (store in store) and started its franchise operations in 2015. 7. How do you select your franchise partners? To be honest I do not want a rich franchise partner, I want a franchise partner who dreams to become rich , who work hard ,who spend time in the outlet , directly interact with the end client. I don’t want a franchise partner who sits in his office and run the outlet hiring a store manager. Preferred Location – Pan India. Return on Investment- 200-400% ROI within a period of 1 year. Expected break even time – Apart from the refundable deposit, the franchise has to spend an amount of 4 to 5 lakhs on the franchise fee and the interiors. Franchise owners can break even this in 2 to 6 months, depending on the season. I want to start a franchise of Roman Island.